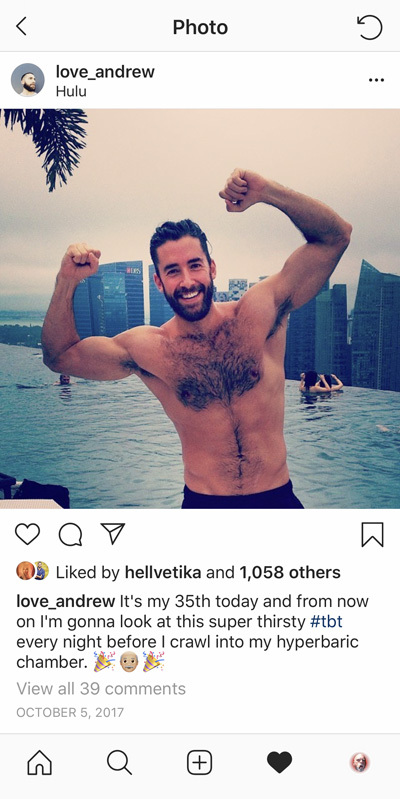 Posted November 7, 2018, 1:00 PM under Cruising, Gay, Men, Online with tags Cruising, Extra!, Gay, Instagram, Men, Online, Pits. Follow responses to this post through the RSS 2.0 feed. Leave a response or trackback from your own site.